It’s a seemingly minor change, and it might even help Fossil, Movado, and Luis Vuitton sell a few more wrist bangles to style-conscious shoppers who don’t know the difference between an OS and an ostrich. 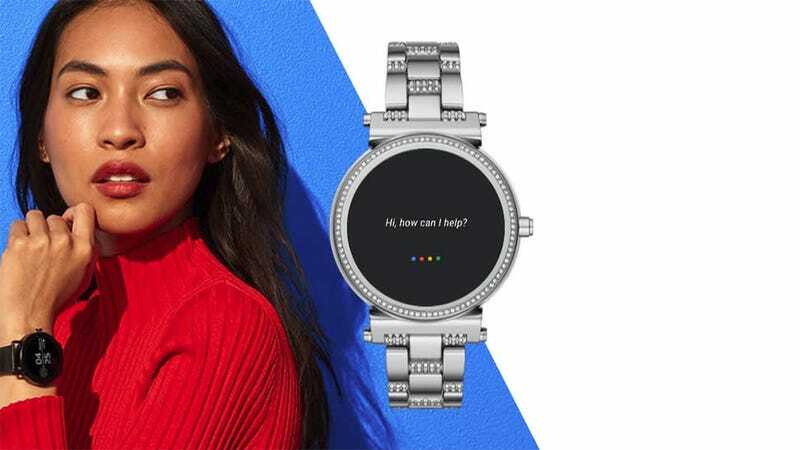 But lurking behind all of this are much bigger problems that Google needs to address that if it wants Android Wear or Wear OS or whatever’s its called to succeed. For Google, the problem is two-fold. The first issue is that Google has yet to decide what it thinks a smart watch should be. When Android Wear debuted in 2014 (a year before Apple Watch was even a thing), it seemed like the natural progression of mobile computing as people transitioned from laptops to smartphones to even smaller devices. However, in reality, Android Wear was a mess. Its UI was clunky, there was very little app or developer support, and trying to find anything took forever because you were constantly swiping from one tiny card to the next. Even the first smartwatch with a round screen, the stylish OG Moto 360, couldn’t save Google’s first attempt at a smartwatch OS. Then, for the next three years, Android Wear languished until version 2.o came out in 2017. Improvements included an updated UI, support for standalone apps (as opposed to companion apps installed on your phone), better watch faces, cellular connectivity, and integration of the Google Assistant. But still, the apps weren’t there. This meant Android Wear devices were largely relegated to checking notifications, counting steps, and maybe measuring your heart rate from time to time. But here’s the thing, you don’t need a fancy smartwatch OS to do that, just get a cheap fitness band instead. Without a decent chip inside, Wear OS devices will continue to lag behind. If you care about health and fitness monitoring, a good processor would make it easier to analyze data from sensors tracking your heart rate, SpO2 (the amount of oxygen in your blood), salt levels, sleep patterns or a number of other important wellness metrics. And on the other end, a good chip would also improve battery life, which even the latest Series 3 Apple Watch still struggles with. After all, what good is a fitness tracker that you need to take off every night to recharge? Smartwatches should be aiming for a week or more of continuous use. So because of these two obstacles, almost all of the big Android Wear device makers such as Motorola, LG, and Asus have given up on the platform, leaving Android Wear in the hands of fashion brands that neither have the vision nor the technological know-how to advance smartwatch tech. Compare this to the Apple Watch, which on top of being a powerful standalone device, is emerging as a potent tool for monitoring your health, and has on multiple occasions helped detect or prevent heart attacks. And while Samsung’s smartwatches may not enjoy the same wealth of apps as the Apple Watch, a more integrated supply chain and an even better UI gives Samsung’s devices a much clearer path to future sophistication. And now we’ve circled back around Android Wear, I mean Wear OS, which seems content to be an overblown tool for adding neat watch faces to devices that are more jewelry than tech, and checking texts. And until Google figures out how to make smartwatches running Wear OS more useful, along with finding a decent processor to power it, no amount of name changing or rebranding is going to help.